In this giveaway you can win one of 5 great prizes provided by our friends at MotoCMS. Whether you’re professionally into photography or you just plan to start making money out of your photos, you probably know by now that a good website managing software is a gold find for your business. Something that would have a lot of design options, modern features like mobile-friendly layouts, would not require you to dig through the library each time you want to edit something, and yet would be affordable… Yeah, even with dozens of website builders floating the market today, that combo is pretty hard to find. 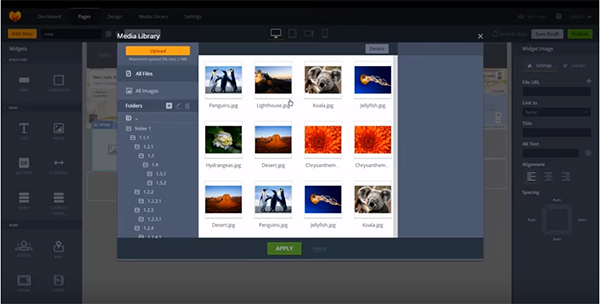 With MotoCMS you can have just that, and with Photodoto, you can have it for free! As you might know, MotoCMS offers beautifully designed portfolio templates with lifetime support. And we’re announcing a giveaway in which you can win a pro-level portfolio website CMS or grab a 30% to 50% license discount by simply leaving a comment here. The 1st place winner will receive a full License for MotoCMS 3.0 which includes a top-quality photography website template of your choice plus access to the powerful website manager with lifetime 24/7 support. All for free. The 2nd place winner will receive a 50% discount for a MotoCMS 3.0 license. It means that if you win, you’ll get a top-notch portfolio website with customization tools, automatic updates, and professional support for a ridiculous $99. The other prize for the runner-up is a Photodoto Bundle including our best-selling Canon Guide, 99 Posing Tips Cheat Sheet, Nikon Guide, and Lightroom Presets Pack. In other words, you get $85 of products for free. Three more winners will be selected at random and awarded a 30% discount for the MotoCMS 3.0 license. Wohoo! 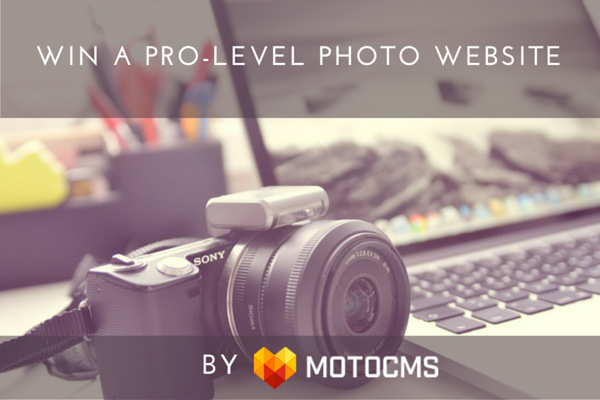 To roll into the draw, simply leave a comment to this post in which let us know how a professional photo website by MotoCMS would help you advance in your photography career. Do this in the next 7 days and on February 22th we’ll randomly select the winning comments and announce the winners in the following days. The entering deadline is February 21, 11:59pm EST. Comments left after this deadline will be waived from the random draw. The giveaway is open to everyone around the world (btw, MotoCMS is also avilable in Spanish, German, Polish and Russian), but there’s a one-entry-per-person limit. Even though, the prize winners will be selected at random, meaningless comments such as “first!”, “I need a photo website because photo websites are cool” will not be considered for the giveaway. It doesn’t mean you need to write an essay in your comment, however, the team at MotoCMS is looking to learn more about your website struggles and hear your feedback about how their solution could help you grow your photography business. Simply leave your comment below for your chance to win!